BEIRUT — The United States recently renewed military support and assistance for the Lebanese Army following a sequence of threatening remarks from Israeli officials on a potential “disastrous war” with Lebanon. A particular thorn in Israel’s side is the Block 9 oil and gas field located in a disputed territory off the countries’ maritime borders. Even as tensions remain high between Israel and Lebanon, U.S. military support for Lebanon is expanding. The Lebanese Army has received a new shipment of ammunition and grenade launchers as well as eight additional Bradley armored vehicles worth more than $11.7 million, all within the framework of the U.S. military aid program to the country. Lebanon is also expected to receive a second batch of A-29B Super Tucano light-attack aircraft next month. “The ongoing military aids are an indication of the great confidence that the U.S military command has in the Lebanese Army, especially after the big role they played in fighting terrorism along the borders against the Islamic State,” a military expert told Defense News, speaking on condition of anonymity. “The U.S. is also thinking of new ways to support the LAF’s [Lebanese Armed Forces’] updated 2018-2022 capabilities development plan — including how to facilitate its preference for a more robust deployment in the UNIFIL area of responsibility, potential solutions to strengthen and streamline LAF C4I, and the LAF’s need to bolster the readiness of its larger mechanized infantry brigades,” he added. using an acronym for a United Nations interim force in Lebanon..
What’s the fuss over Block 9? 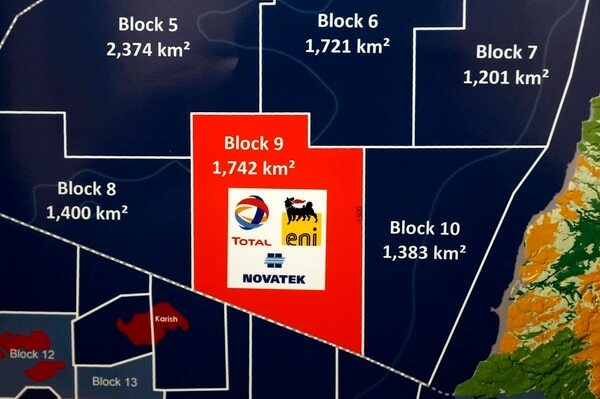 In December, Lebanon approved a bid from a consortium of France’s Total, Italy’s Eni and Russia’s Novatek for two of the five blocks put up for tender in Lebanon’s much-delayed first oil and gas offshore licensing round, Reuters reported. One of the awarded blocks, Block 9, borders Israeli waters. Lebanon and Israel are caught up in a maritime border dispute over a triangular area of sea that makes up about 860 square kilometers (approximately 330 square miles) that extends along the edge of three of the blocks up for tender. 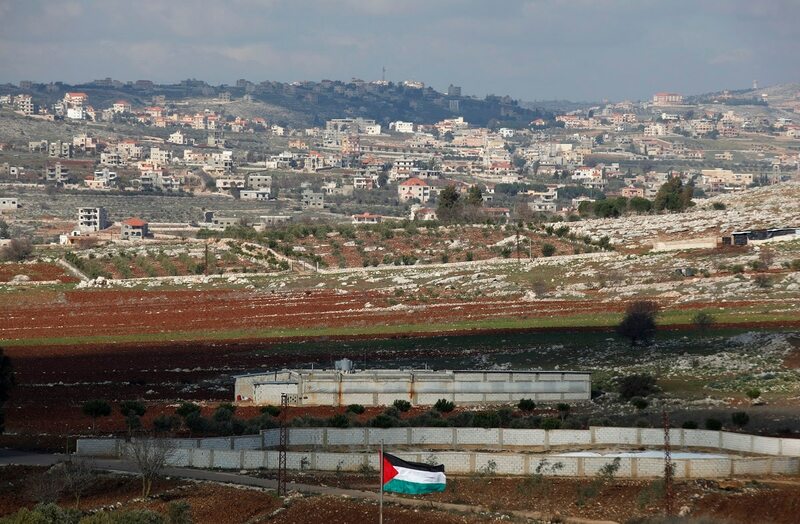 “However, until a proper demarcation is done that is accepted by both sides, this could prove to be a point of tension; and if Israel wants to intervene militarily, it will compel the Lebanese Army to act. Otherwise, this will open the door for Hezbollah to move defensively, which will reactivate the military conflict in south Lebanon,” the source added. Israeli Defense Minister Avigdor Liberman has warned that Lebanon would “pay the full price” for any new Hezbollah attacks on Israel. Why are citizens protesting in Iran? It’s a question raised by many local strategic analysts who described the Iranian protest as “one of the biggest for almost decades.” The answer lies primarily in military investments. On the other hand, the retired Lebanese military officer, Hitti, believes “neither Israel nor Lebanon will tolerate” an Iranian missile factory in Lebanon. “Despite the recurring cycles of bellicose discourse on either side of the Blue Line [the Israel-Lebanon border], and despite recurring threats of a new summer war annually since 2006, the only certainty is that both Israel and Hezbollah ultimately seek to maintain ― and strengthen where possible ― their respective version of deterrence,” said Nerguizian. The Lebanese Armed Forces took no major part in the 2006 war between Hezbollah and Israel. If the Lebanese see Israel as initiating an attack, the Lebanese Armed Forces would have to choose between sending troops into battle, or maintaining its "hard-won, post-ISIS credibility," the CEO of The Mortons Group said. "It is my understanding that in principle, losing their credibility is seen as far more costly for the LAF than to appear to do nothing while Hezbollah takes further credit and prominence in national security terms."